Tracks 21 & 48 - Composed and Arranged by Toshiharu Yamanishi. Both come from Atelier Marie. Track 49 comes from Atelier Viorate. 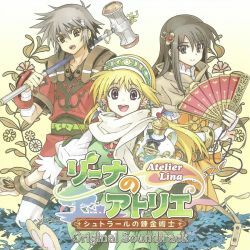 Track 50 comes from Atelier Annie. Track 51 - Composed and Arranged by Ken Nakagawa. Comes from Atelier Rorona.